British poet, playwright, novelist, and actress of the eighteenth century. Her published works include London's Summer Morning (poems), The False Friend: A Domestic Story (novel), and Nobody: A Comedy in Two Acts (play). 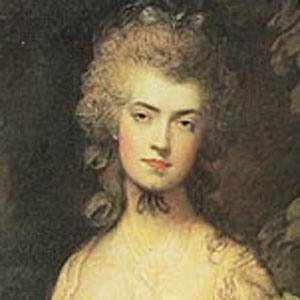 She was the daughter of a Naval captain who deserted his wife and five children for his mistress. Her contemporaries likened her work to that of the Greek lyric poet Sappho. She married Thomas Robinson but had multiple affairs with other men. One of her most high-profile affairs was with the future King George IV. She earned the nickname of "Perdita" after she starred in a 1779 adaptation of The Winter's Tale, a play by William Shakespeare that features a character of the same name.